I had the pleasure of hearing Jan Beatty read at the 2008 Geraldine R. Dodge Poetry Festival. I was captivated by the sound of her voice and the contrast between the softness of her voice and the tough subject matter she deals with in her poems. After reading her book, Red Sugar, I contacted her and am happy to say that she agreed to discuss one of her poems here. 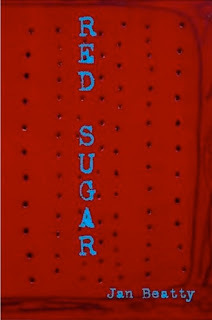 Jan Beatty’s third book, Red Sugar, was published by the University of Pittsburgh Press in Spring, 2008. Red Sugar was named a finalist for the Paterson Poetry Prize. Jan is also the author of Boneshaker (2002) and Mad River, winner of the 1994 Agnes Lynch Starrett Prize, both from the University of Pittsburgh Press. 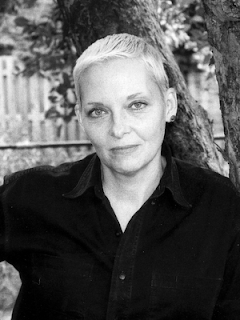 Her chapbook, Ravenous, won the 1995 State Street Chapbook Prize. She has worked in maximum-security prisons, was a welfare caseworker and an abortion counselor, and waitressed in jazz clubs and dive bars for fifteen years. Her poetry has appeared in journals such as Quarterly West, Gulf Coast, Indiana Review, and Court Green, and in anthologies published by Oxford University Press, University of Illinois Press, and University of Iowa Press. Awards include the $15,000 Creative Achievement Award in Literature from the Heinz Foundation, the Pablo Neruda Prize for Poetry, and two fellowships from the Pennsylvania Council on the Arts. For the past fifteen years, she has hosted and produced Prosody, a public radio show on NPR-affiliate WYEP-FM featuring the work of national writers. 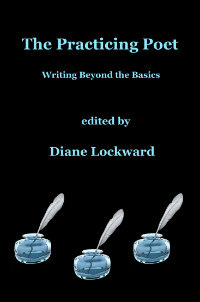 Beatty directs the creative writing program at Carlow University, where she runs the Madwomen in the Attic writing workshops and teaches in the MFA program. Today's poem comes from Red Sugar. of your little machinery. turning inside you from some generator. to the family. now the woman next door: he made good potato salad. brought it to church functions. standing in her yard, she looks down. any trouble. what if he was split off from all kindness from the beginning? I think: you are all little frankensteins: all little broken-down machines. you put your head down. one foot in front of the other. lurching. DL: There's a grisly story in this poem, a neighborhood shattered by an act of violence. There are also some odd moments of something like tenderness—the potato salad and "his undiscovered cities. the buildings rising in him. . ." How much is fact? how much invention? JB: That's a hard question to answer. The entire poem is sort of a composite of real things that happened over time, but not as one event. So—the events did happen, in a sense, but not in any logical, grounded way. And yes, there is some invention in the making of the composite, and I have taken some liberties with some details. The reference to the "potato salad" was a sarcastic moment in the poem, referring to the moment on the news when the neighbor seems to be clueless, offering proof of goodness based on someone's cooking ability. The "undiscovered cities" is a moment of compassion and wondering in the poem. DL: This poem reminds me of a braid. The way you weave together voices and perspectives both complicates and enriches the poem. The reader has to pay careful attention and do some work to keep track of who's speaking or whose thoughts we're hearing. How do you strike the balance between clarity and complication? JB: I do intend for the reader to have to keep track of these voices and thoughts. I think that there are enough connections in the poem to do that, and in that connecting, I was hoping to spark moments of unexpected misunderstandings and wanderings of thought. It's not so essential to me that the reader "get" what I was intending, in terms of meaning, but that he/she is moved or affected by the poem. I do, though, want enough clarity to find a reading, to arrive at a kind of sense. I'm not interested in creating a poem that is intentionally opaque or misleading. DL: The elegant form of the poem seems at odds with the chaos of the narrative. I love that irony and tension. Tell us how you arrived at the form. How many drafts until you arrived at the final form? JB: This poem lived through many drafts—I don't remember how many, but more than ten. It initially was not in tercets, was not lower case, had a different title, was more traditionally narrative. The poets Judith Vollmer and Peter Oresick worked with me on an early draft of the poem. The poem needed to get tougher and less compassionate than it originally was—it needed more of an edge. I was formerly a social worker, and I worked and taught in prisons. Some of that experience goes into this poem as the poem straddles moments of toughness and tenderness. JB: I think because of the "stray" voice speaking the poem, the stray voices that respond as neighbors, the stray voices inside all of us, I wanted to have the lower-case throughout the poem to support that feeling of a floating voice. Also, the lower case supports the movement of the poem through open stanzas, and prevents any visual distractions during that movement. 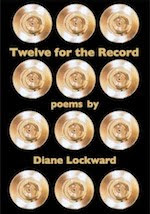 I used the colons to support the reporting voice in the poem, to move abruptly from voice to voice, as in, "...now the woman next door: ..." The colon allows me to announce her appearance and to have her speak quickly in the poem. It is a bit rougher than a comma, which is want I wanted, to go along with the tone of the poem. addressing what is said and isn't said, and for that reason, I wanted them to appear with the same notation. I used the slash at that place because it's a pivotal moment in the poem. Prior to that, we see a "blade" in stanza 2, a "sliced" in stanza 3, and by the time we get to that moment in stanza 5 when the woman envisions this man's hands in "blades of grass," the emotional weight of those words has grown. It's at that moment that we as readers witness her uncomfortable realization that rushes on her: she knows this man, she starts to panic, to imagine his hands in the "blades," and then she jumps quickly to "him cutting the vegetables next to her daughter." It's at that moment when the terror sets in, when it gets personal, and she starts to question her position. So, the slash between the "grass/sees" enables that jump, that shift, and vaults the reader and the language ahead to the moment of change. DL: I'm also intrigued by the voice and tone of this poem. What is the speaker's relationship to the other characters? Is she one of them or separate from them? Why does she conclude "you are all little frankensteins: all little broken-down machines"? JB: She is one of them, and she is separate from them. She understands them, yet she reports on them. She witnesses the walk and the talk, and at the end, she is still all of them, raising questions and making statements. She is asking for compassion in, "what if he was split off from all kindness from the beginning?" She is splitting off from "them" as she says: "you are all little frankensteins..." I guess that's the point of the poem—how and where do we locate ourselves in relation to the "other"? Don't we all stray? How does that process of locating shift? Then who are we, really? The questions are posed, not answered. Readers, Jan has given us much to think about here. I know I'll be thinking more deeply about punctuation and how its careful use can convey information and emotion. I didn't know Beatty's work before this. Her ability to articulate her own work is mightily impressive. I use lots of unusual punctuation but don't know I could make my usage this precise. Thank you - I am going to order Red Sugar now. I absolutely love the personal insights into the poem. To read it once with no map, is quite the fumbling maze, but to read it again, with a sort of candle light reveal, makes the experience far more of a enjoyable adventure. I worked with Jan a few years ago at Chautauqua -- she's fantastic!